Do you already know what trip you would like, and when? Hit the “Book Now” button and reserve your slot. Bookings are always subject to the whims of the weather. The primary concern with weather is wind. At the bottom of the page you’ll find the current wind forecast and you can scroll to see near future predictions. We look forward to seeing you on board! After cyclone Larry and cyclone Yazi, tourism in northern Queensland was still up and running, but we needed to let everyone outside the area know that. One of a group of guys I’d fished with over the years was a cameraman who knew Paul Worsteling from the IFISH show. I asked him if Paul would be interested in helping Mission Beach with doing a show to let everyone know Mission Beach was “open for business”. A couple of hours later Paul called me and said he would love to help and to get organised as he will be up in a couple of weeks. 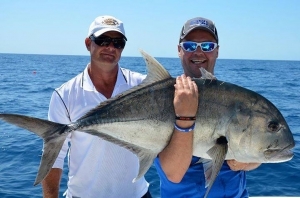 The whole area pulled together with local resort Castaways offering accommodation, VIC helping with flights, Mission Beach resort with food, the Tinnie Shack with fishing crew and Fishin Mission supplying the vessels and skipper. Paul’s highlight was obviously getting his biggest GT at the time. Once again thank you to the team at IFISH for the support and some wonderful days fishing. You can see some of the iFish/Fishin’ Mission here. Fish the local reefs around the islands from Barnards to Wheeler Island. 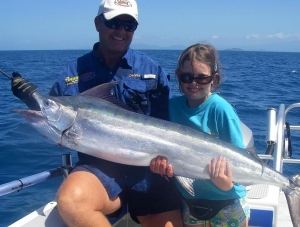 This is the perfect half day’s fishing adventure in the waters surrounding Dunk Island. There is a wide variety of great fish to hook. A short distance to the fishing spots means getting the hooks in the water quicker. $160 per person, with a maximum of 6 people per trip. 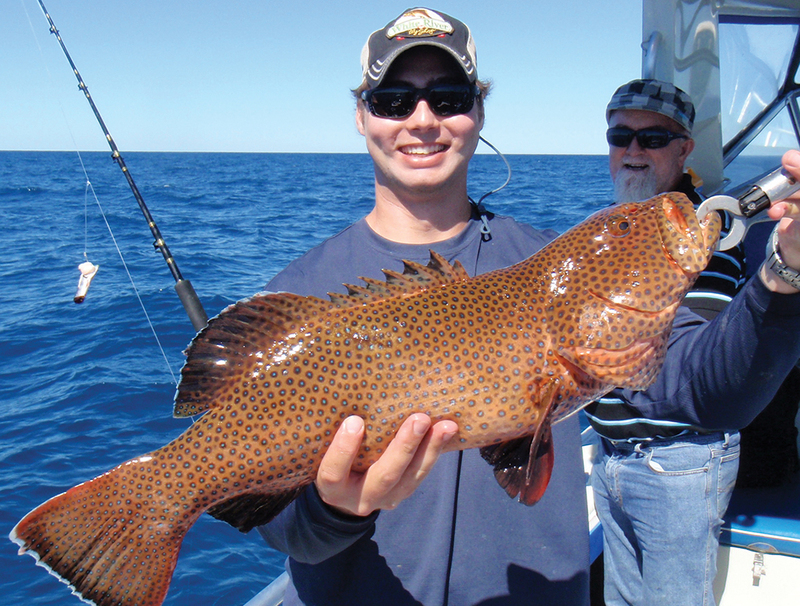 Enjoy a day’s fishing on the world famous Great Barrier Reef. 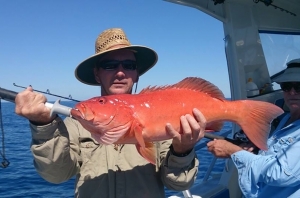 We target a variety of reef and pelagic species such as coral trout, trevally, red emperor, tuna and sweetlip on the reef drop offs. $260 per person, with a maximum of 6 people per trip. 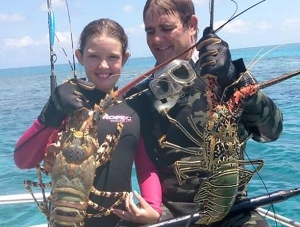 We also cater for families and small groups who would like to snorkel on the reef, or spearfishing trips for those wishing to enjoy the underwater chase. Snorkelling – $180 per person, with a maximum of 6 per trip. 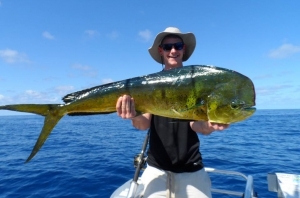 Spear fishing – $260 per person, with a maximum of 4 per trip. 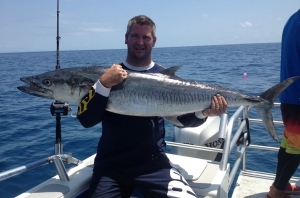 We offer the ultimate Great Barrier Reef game fishing experience, chasing that fish of a lifetime including pelagic species such as mackerel, tuna, marlin and other billfish. You will experience all the complexities of hunting these magnificent creatures. $1400 per trip, sole charter. 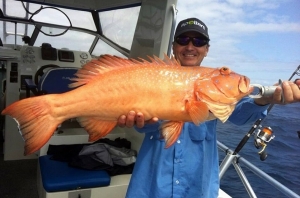 Whilst you are visiting beautiful Mission Beach, Bedarra Island or any of the other amazing destinations nearby, why not spend a day fishing the sparkling waters of Australia’s famous Great Barrier Reef? 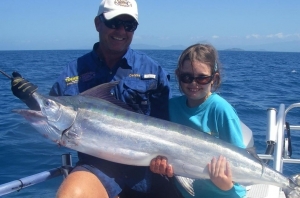 Only an hour and a half south of Cairns, off the popular resort village of Mission Beach, you’ll find exclusive fishing grounds abundant with sought after tropical reef and sport fish. 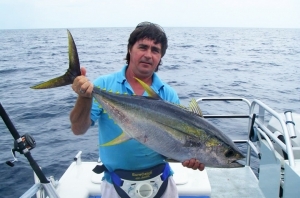 – All tackle and bait (including live bait when available). 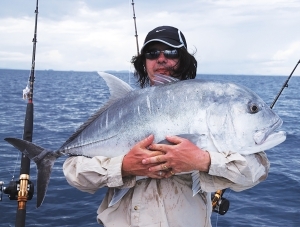 – We only use Shimano rods and reels. – The Environmental Management Charge/GST is included. 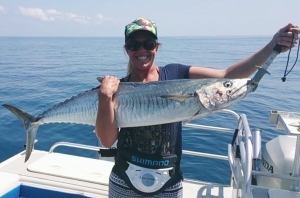 – All catches are gutted and gilled. – Expert assistance and local advice. Don’t forget your hat, sunglasses, sunscreen, long sleeve shirt, camera and stinger/wetsuit if required for snorkelling. All trip are subject to weather conditions and minimum passenger numbers. Cancellation fees will apply if less than 24 hour notice is given.